As we near the end of our crop, we wanted to go back to military/patriotic theme again. This altered item was created by Carolyn, SL DTM and she used the Military line from Karen Foster Design. 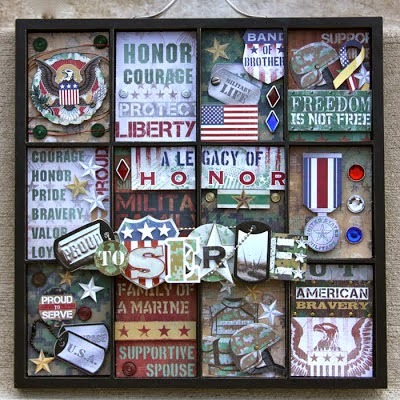 Again, this challenge is to create anything patriotic in honor of our military personnel, whether it be more cards to mail in to provide them cards to send home or thanking them for their service, or something for someone you know who is/has served our country and your freedom.